Alina Panova is a multidisciplinary artist, noted costume designer, and producer. As a visual artist whose career spans several fields, she has created some remarkable works in different mediums. As a designer Alina Panova began her career in the world of theatre, opera and ballet, and subsequently established herself as a successful costume designer for stage and screen, multidisciplinary artist and producer. Her close collaborators include the leading artists, directors and performers of our time. Born in Kiev, Ukraine, Panova studied at the Shevchenko National Shool of Fine Arts in Kiev, and Cooper Union School of Art in New York. Early on in her design career she became a protege of the legendary Theoni Aldredge with whom she established a long-term professional collaboration. In the world of opera, Panova's mentor was a renowned Italian director/author/ designer Beni Montresor. Panova's credits include Hollywood films, as well as Broadway and West End musicals, opera and ballet. She worked on West End musicals "Chess" and "Ziegfeld" as well as Broadway productions of "Gypsy" , "Blithe Spirit" and "Nick and Nora". Her designs have been seen in major opera houses around the world. Panova's portfolio extends to Oscar and Olympic ceremonies, Las Vegas and skating shows, and special theatrical events for the Kingdom of Morocco and the UAE. Some of the Hollywood films Panova's costumes can been seen in are "Addams Family Values" (Academy Award Nomination), "The Naked Man" (written and produced by Ethan Coen), and "Bruiser", directed by cult horror director George Romero. Further exploring her aesthetic, Panova also worked in advertising and created memorable images for important international campaigns. Alina Panova worked in a variety of artistic fields, winning acclaim as a costume and production designer, visual consultant and artistic director, and concept designer. 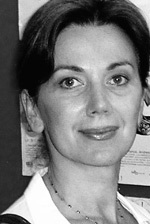 Among other things, Panova contributed to two books on design (including "Secrets of Skating" from Rizzoli), and was also chosen as a keynote speaker and a judge for the 2006 International Design Competition "Crystal Silhouette". Panova's first film as a producer, feature film "Orangelove" premiered at Cannes and won several awards at international festivals. It was shot on location in Ukraine (in Russian and Ukrainian languages). "Orangeloeve" is directed by a talented young director Alan Badoyev. It is a modern day Romeo and Juliet tale that publically raised a curtain on AIDS epidemic among heterosexual adults in Ukraine. It opened to a critical acclaim and Variety lauded the film "Ukraine is experiencing another revolution with AIDS drama "Orangelove". As a visual artist Alina Panova is examining appearances and presentation of the real and public self in different manifestations, as well as fluid social and gender-role attitudes assigned to women today. She is also interested in paths of the spiritual seekers that cut across different cultures. Her art has been exhibited internationally and is included in important private and public collections.